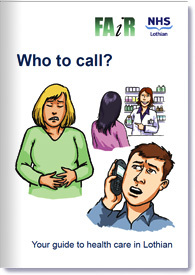 This booklet was produced with help from the NHS, and has information about who you should call if you feel ill or have an accident. It tells you how to get the right healthcare, at the right time, in the right place. Please note - We are no longer funded to keep this guide up to date. The information was correct at the time of publication in 2016 but we can't guarantee that all the information in it is still accurate.